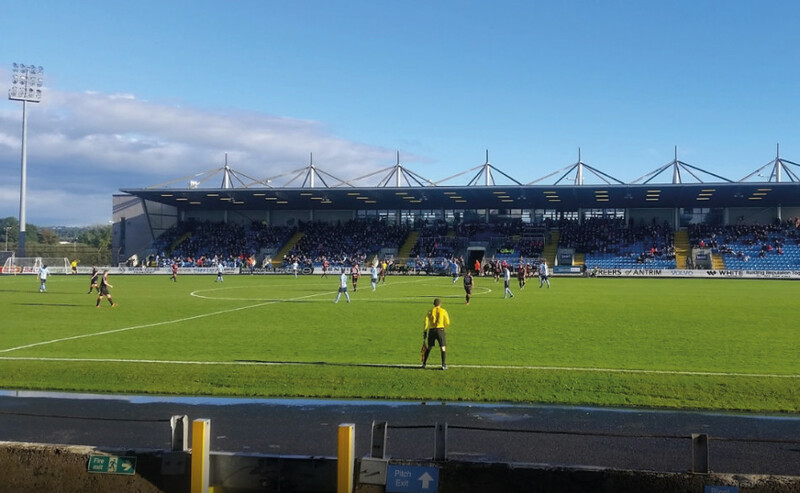 Home to Ballymena United Football Club, Ballymena Showgrounds is being hailed as one of the finest sports facilities in Northern Ireland. Sitting in the middle of County Antrim, the grounds date back decades, but have undergone substantial modernisation since 2010 with the completion of a new 2,500 seat cantilever stand costing £3m. This single tiered structure is split jointly between home and away fans. It replaced a twenty-three year old concrete structure in the same location, known as the Clock Stand, which was demolished in 2009. Going back even further to 2001, the stadium went through a total redevelopment and, due to the more recent renovations, it can now hold 3,600 spectators safely. However, more plans are being considered to totally replace the main pitch next year as well as installing a new 'Prunty style' irrigation system. The Ballymena United Football Club was formed on 7th April 1928, when four local businessmen and football enthusiasts decided that the town needed a senior football team in the Irish League. Those four men, Albert McClelland, DB Elliott, John Gordon and James McIlhagga, helped the new club take the place of Barn United in the Irish League for the 1928/1929 season. A number of players were conscribed from the local area, as well as further afield, to play their first competitive game on 20th August 1928 in front of a packed Ballymena Showgrounds playing against reigning Irish League champions Belfast Celtic. Sadly they lost 3-0. However, five days later, Ballymena gained their first point in a 2-2 away draw to Larne and created another landmark when Jimmy McCambridge scored the club's first ever goal. The first win for the new club came in early September when the 'Braidmen,' as they were nicknamed, defeated Ards 2-1 at Castlereagh Park. The Showgrounds still remains a very popular venue on match day when fans can be seen queuing down the residential Warden Street waiting to get in at the turnstiles. 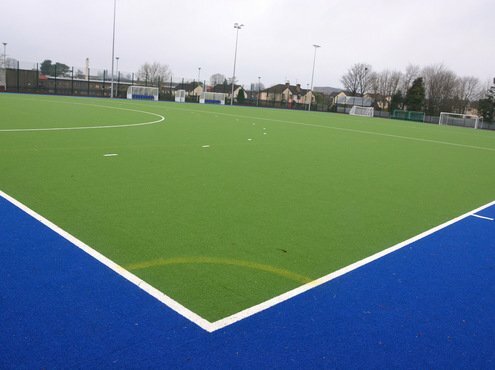 The facilities are owned by Mid and East Antrim Borough Council, and hosts, in addition to the main arena, five other grass pitches, a 2G Astroturf pitch, a 3G pitch and another Astroturf pitch. In addition to sports, the Showgrounds also hosts stockcar racing from Good Friday through to the end of September and the annual Ballymena Agricultural Show. 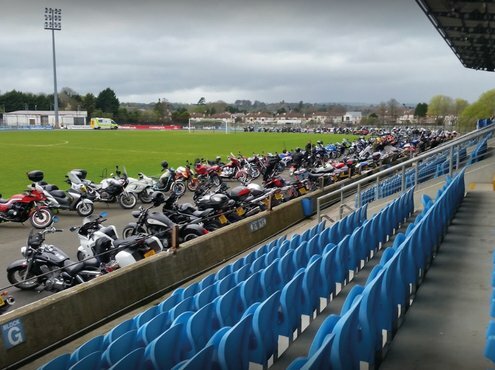 There race track surrounding the football pitch in the main arena is thought to be the only such combination situated anywhere in Northern Ireland or even the Republic of Ireland. Due to the Showgrounds being owned by the local council, which services an area stretching from Clough in the north of County Antrim to Carrickfergus in the south, there is a dedicated council staff team that looks after sports amenity sites within the borough. 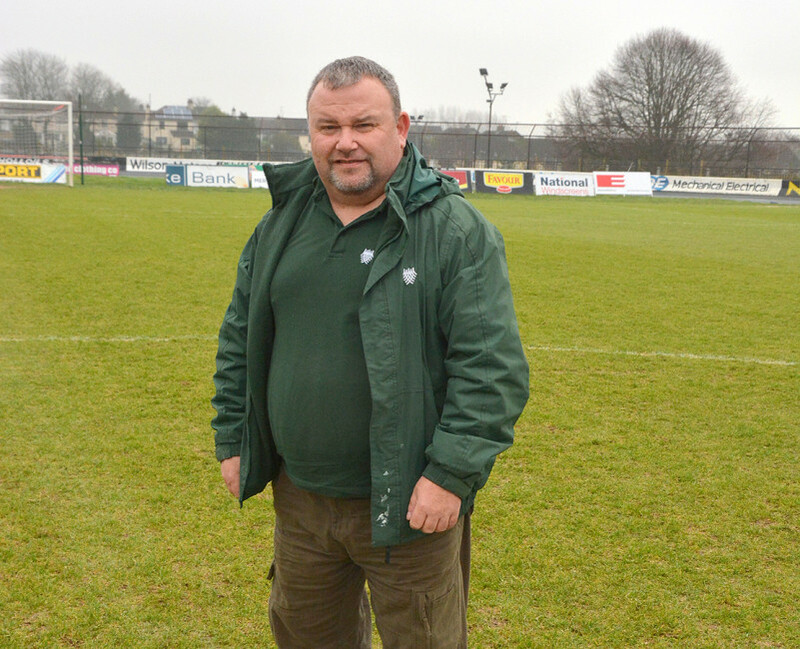 One of those heading up that team as parks supervisor, or head groundsman in lay terms, is Stephen Galvin who has been working in the industry for the past twenty-seven years. Stephen's journey into this job has been an interesting one, with various positions held in other areas before making the move to the council. Stephen said: "I started off on a voluntary youth work scheme and then moved on to become a private maintenance contractor." "After that, I worked for the Northern Ireland Housing Executive, Newtownabbey Borough Council and then Ballymena Borough Council, which more recently became the Mid and East Antrim Borough Council." Thanks to the nature of his jobs, Stephen also took a variety of training courses including a number of grounds maintenance courses. "I also took PA1, 2 and 6 training, chainsaw user's course, pitch management courses, Nebosh level 3, IOSH, ANCH in sports turf management from Greenmount College, ILM level 5 in leadership and management and a licentiateship in sports turf management," he said. And it was during his time at Greenmount College that Stephen met Paul Campbell, who he claims was the one person who really inspired him in the industry. Stephen is in charge of the budgets to maintain the pitches and has additional staff at his disposal when required. "We have access to consultants, if required, as well as outside contractors to carry out certain tasks like verti-draining," said Stephen. "I also have two staff working with me including Glenn Hoffin, who has been with us for fourteen years, and Andrew Clarke who has twenty years' service with the council." "These are real experienced staff and put in a lot of effort maintaining all the pitches in the borough. They certainly know their stuff," he added. The pitches are mostly composed of sandy soils and require a good fertilisation programme during the season's maintenance programme. "We always strive to ensure we have a good fertiliser programme in place here and use good quality grass seed," said Stephen. "We are committed to regular maintenance of the facility and ensuring it is at its best for the demands of top level sport." Being a council run amenity, the pitches are widely used by the local community and professional bodies. "There are various local leagues, from youth to intermediate level that make good use of the pitches," Stephen said. "Last summer, we hosted several SuperCup Northern Ireland games, including the finals, and UEFA Women's Under-19 championship matches. Both organisers of these competitions praised the standard of the facilities. These incredible tournaments put our borough on the map as a location for top-level sport and are hugely beneficial to tourism and our economy." "Investment in our sporting facilities reflects an important part of the council's corporate plan, to support building a safer, stronger, healthier community whilst ensuring the delivery of high performance facilities in the Borough." "We feel passionately about encouraging people to become involved in sport and, as a council, we consistently promote and develop all types of sporting and fitness activities," he said. Stephen and his team carry out regular inspections of all the pitches as part of their ongoing maintenance programmes. 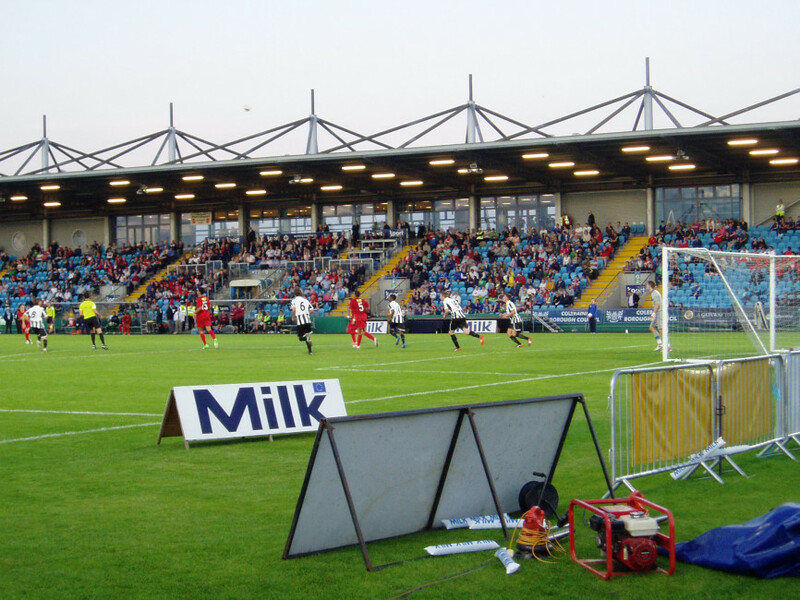 "The showgrounds have two grass training pitches, four full-size grass football pitches, one sand-filled Astroturf, one sand-dressed Astroturf and one 3G pitch. 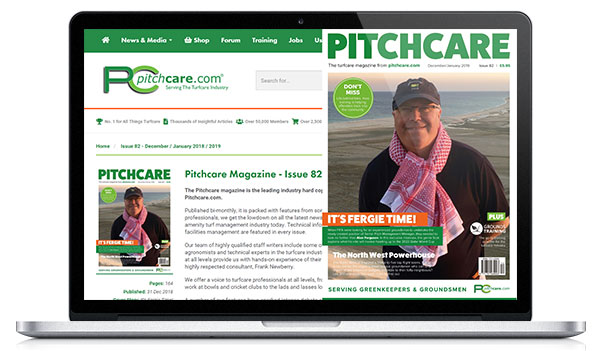 We also manage around twenty other pitches in the Ballymena area." 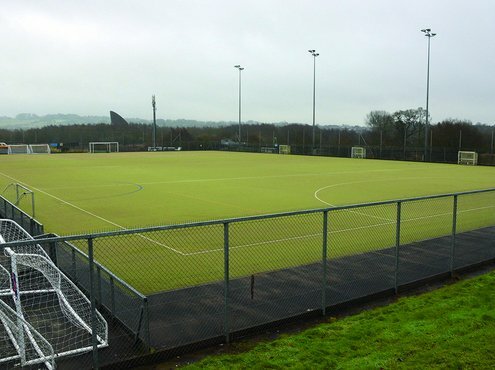 "Like any outdoor facilities, our pitches are open to the elements. Our groundstaff have to put in a lot of hard work and pay close attention to the pitches to keep them in good shape. Regular maintenance and inspections are carried out at all our facilities," said Stephen. "Shade can be an issue with any football stadium, given the stands, but we work to counteract this." Stephen and his team rank presentation very highly at all the council pitches and more so at the Ballymena Showgrounds given its frequent use by big clubs and competition organisers. They put a lot of time and effort in to ensure the pitches are in the best condition possible ahead of any games. Stephen said: "Our working week is a very busy one with a wide range of responsibilities and duties to be carried out. This includes removal of daily dew on the surface, grass cutting at 25mm height with a Saxon triple mower, divoting, forking, sanding when required and marking, which is carried out with a wheel to wheel transfer marker. We seed all areas as required." 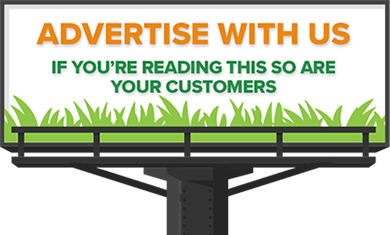 "On a monthly basis we have a weed control programme which involves removing weeds by hand and by chemical means with Praxys selective herbicide. Verti-draining is also another management tool we use when required." "All of our pitch maintenance staff are trained to carry out all tasks, so it really is all hands to the pump style working here," added Stephen. 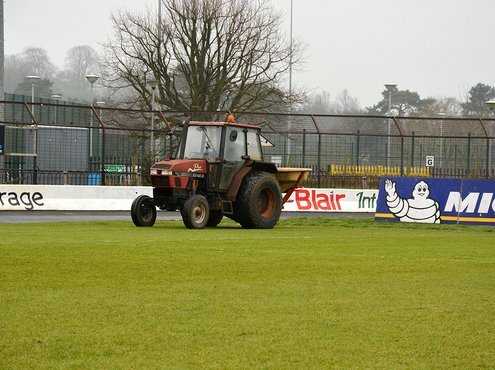 "At the end of the season, the team carry out a number of tasks to ensure the pitches are in good condition. These include verti-draining, topdressing with sand, top up dips and hollows, direct seeding and fertilising the pitches," he added. 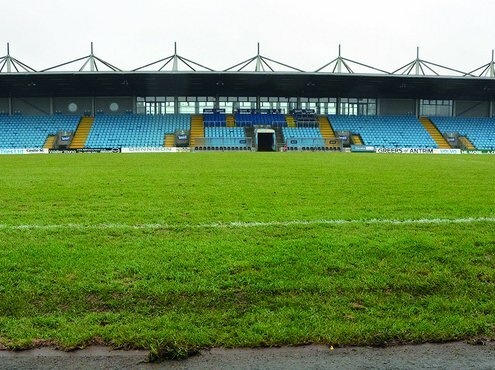 Changing weather patterns take its toll on any outdoor sporting arenas and the Ballymena Showgrounds is no different. "Yes, the weather does seem to be getting wetter, which provides challenges in terms of maintenance and upkeep," he said, "but we are dealing with what Mother Nature throws at us." "Regular soil samples are taken to guide us into what work specifically we need to carry out on the pitches." "The artificial surfaces are brushed on a two-week rota, and litter and other debris is removed on a daily basis," said Stephen. The council owners have ongoing special projects earmarked at their venues when the need and expenditure is justified. There are plans afoot to resurface the main arena pitch and upgrade the irrigation system, subject to elected members' approval. Stephen said: "When the final season matches have been played at the end of April 2018, the contractors could start stripping the main pitch in order to install a new one. This work would also involve lowering the pitch about two feet to bring it down to the same level as the outside track. "A new Prunty style irrigation system would be installed under the pitch to keep it free draining and irrigated when necessary." "Even in Ballymena, with its renowned wet weather, we do get some real dry spells and need to manually water the pitch, which consumes a lot of time." 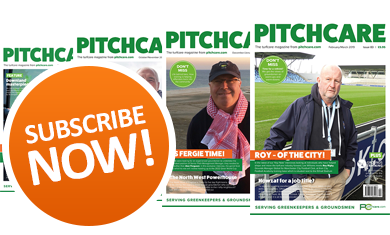 "This current main pitch must have been put in place over thirty years ago, so is due a change real soon. It hosts somewhere in the region of seventy-five matches in the season, so it is well utilised." 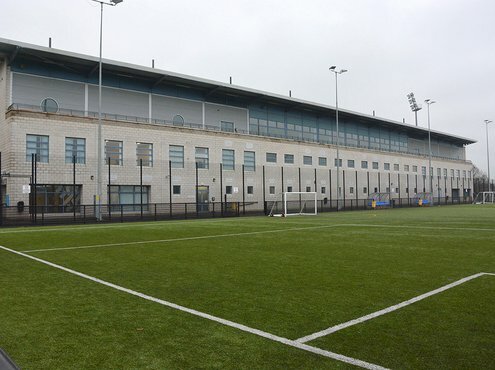 "The contractors hope to have the new pitch completed within a three month timeframe." 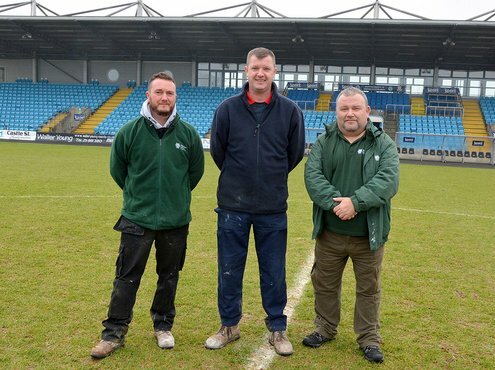 "A number of our other pitches in the Ballymena area have undergone major drainage work as well," said Stephen. "All the day to day work on our grass pitches - and our artificial pitches - are carried out by ourselves. On occasion, we may call on outside contractors for the specialist tasks." "All our staff are kept fully abreast with all the latest health and safety regulations and attend training courses on a regular basis. We are currently working with our local college to allow work placement and hopefully inspire young people to get involved in what is a fantastic career," Stephen added. Any machinery required for the facilities within the council area are bought outright, usually by a council tendering process, with a number of local equipment suppliers. "We always like to have the most efficient machinery at our disposal that ensures the pitches are kept in the best condition possible. As it's a council facility, we have access to a pool of machinery stationed at a number of different facilities within the borough and can use them when required." 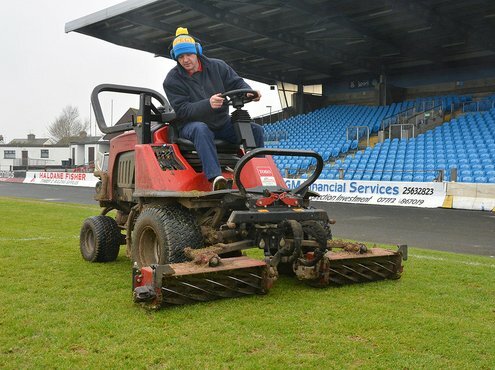 "I would like to see a new verti-drain purchased in the future for use at the Ballymena Showgrounds site as it would make a huge difference here and also at some of our other grounds," he added. "If there is one thing I could change here at Ballymena it would be a request for better weather!" "We don't have so many pests at the Ballymena Showgrounds but we do have a friendly fox that likes to visit us regularly." "Our council has undertaken the planting of a number of wildflower areas throughout the Ballymena area. Indeed, Mid and East Antrim Borough Council has won numerous awards at regional and national levels for its 'In Bloom' work." "Our industry really is going from strength to strength and I believe the entire industry is flourishing, but we do need to increase the opportunities for even more young people to get involved," said Stephen.